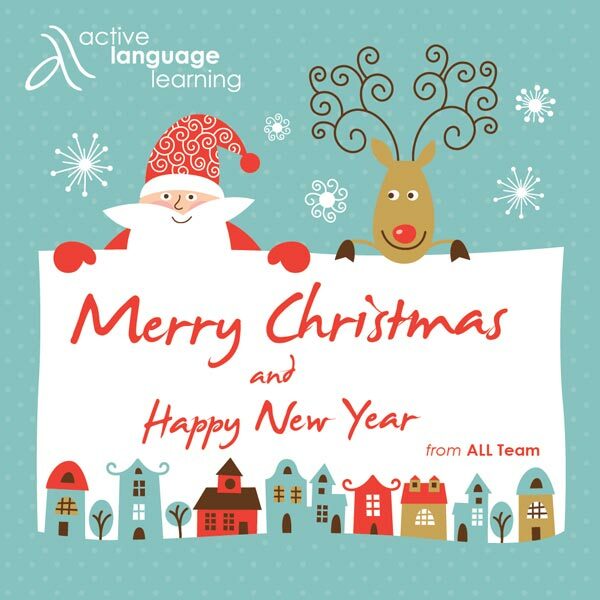 As many of our students already know, we have a list of exciting events planned here in Active Language Learning in December. Our school will be closing for two weeks on the 15th of December so I’m sure both teachers and students are looking forward to a rest from all their hard work. On the 15th of December we will be organising lots of fun and games in class where you can learn about what people in Ireland like to do at Christmas. Don’t forget we’ll have our Christmas outfit competition so make sure you wear your Christmas jumper. There are lots of Christmas markets in the city for you to enjoy, and even our own market in Dun Laoghaire. If you’re in the supermarket, be sure to buy some mince pies – these are little cakes filled with dried fruit and they’re a traditional Christmas treat. Good luck to all our students doing Cambridge PET, FCE and CAE exams this week! For those of you thinking of doing exams in January, don’t forget to come to our Exam Lab every Wednesday at 2.30pm to pick up some exam tips. Classes start again on the Tuesday 2nd of January. We look forward to welcoming you back. We here at ALL wish you all a Merry Christmas and a Happy New Year!